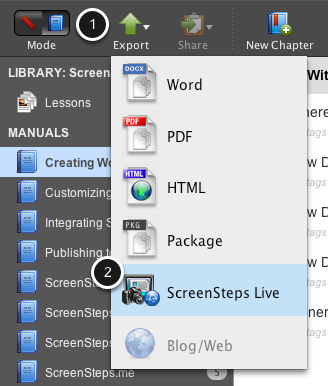 ScreenSteps Desktop 2.9 and Workgroup DocumentationScreenSteps Desktop & WorkgroupScreenSteps 2.9 Working with ScreenSteps LiveHow do I Upload a Manual to ScreenSteps Live from ScreenSteps Desktop? Configure your options for the upload. 1. 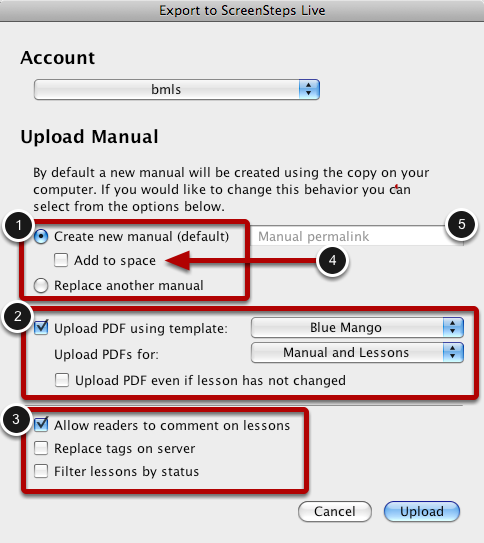 Most of the time you will select Create new manual or Update existing manual if you have previously uploaded the manual. 2. In the PDF section you can choose which PDF template you would like to use and whether you would like to upload PDFs for each individual lesson, the entire manual, or both. 3. Here you can toggle comments, upload packages, and filter manual lessons by status. Once you have configured your settings, select Upload. 4. You may want to publish the manual directly to a space. Check this box before uploading if you would like to do that. NOTE: If you are an editor or author user you will have to attach your manual to a space. 5. 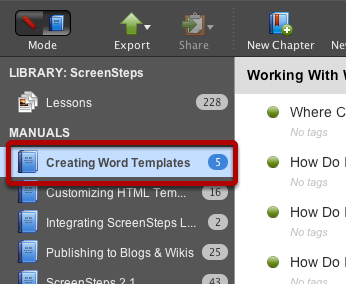 You can also add a permalink for the manual when you create it. Next: How do I Update My Local Manual With Changes From the Version on my ScreenSteps Live Account?